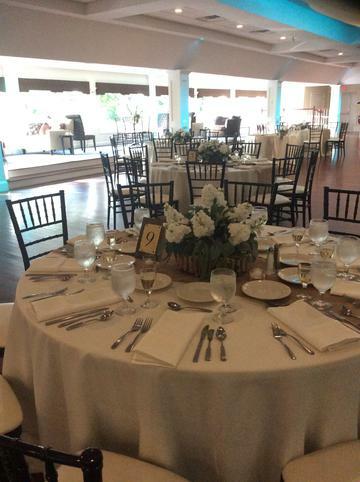 "The Canoe Club Ballroom made our wedding day absolutely perfect! They are so organized, well prepared and professional. From the first day that we toured and met with one of the bridal assistants we knew that this was the place for us! At each meeting they made us feel relaxed and kept us organized. They are easy going but made sure to help us feel so prepared when the day came. Every family member and friend was impressed with not only the organization of our wedding day, but were blown away by the beautiful upkeep of the ceremony space and Ballroom. 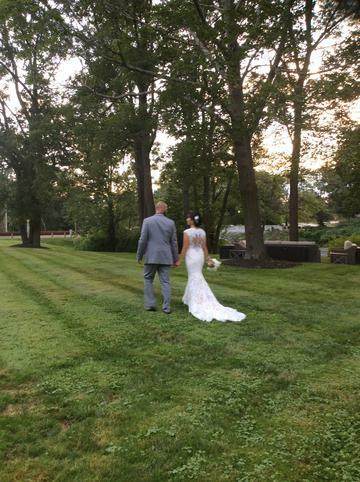 I cannot say enough about the Canoe Club, they truly made our wedding day everything that we imagined and more. We are so appreciative of Stacy, Jill and the staff and are forever grateful! Thank you, thank you!!" 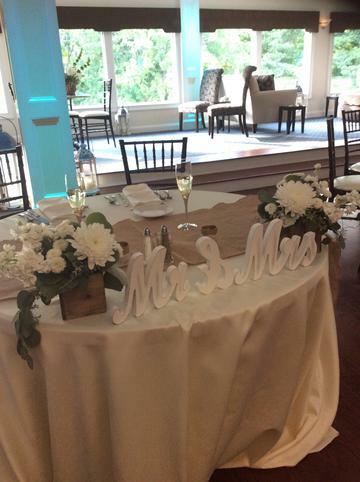 Lovely details on their sweetheart table. 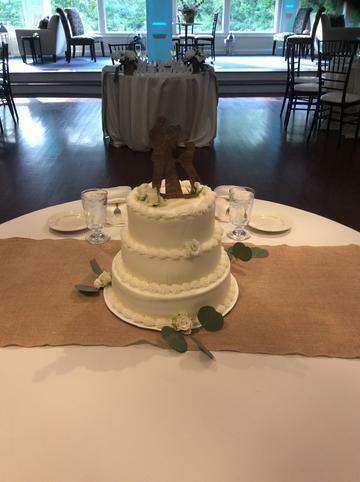 Greenery was the perfect touch to their cake! Rustic details with beautiful white blooms for their centerpieces. 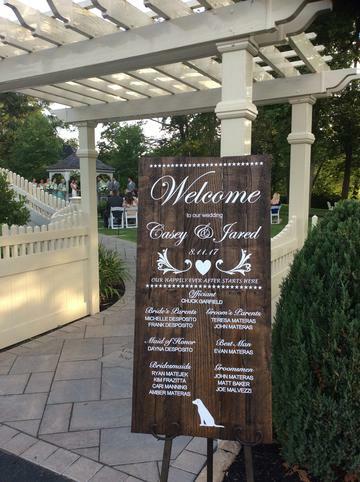 We just loved this welcome sign! 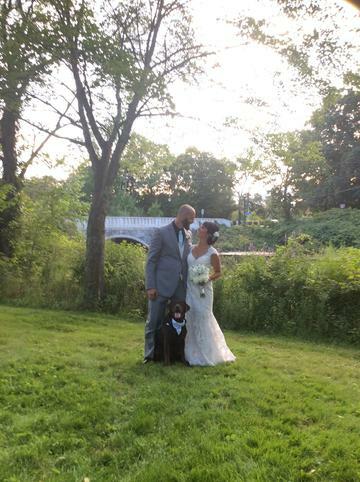 The lovely couple with their favorite pooch, Brady! 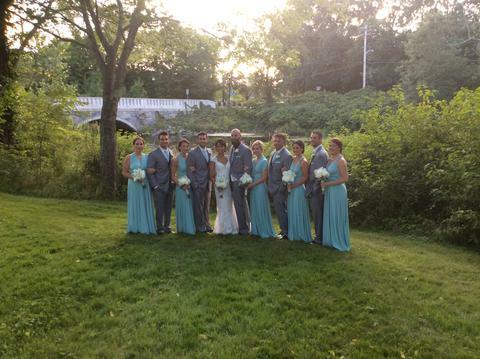 A perfect photo of the bridal party! 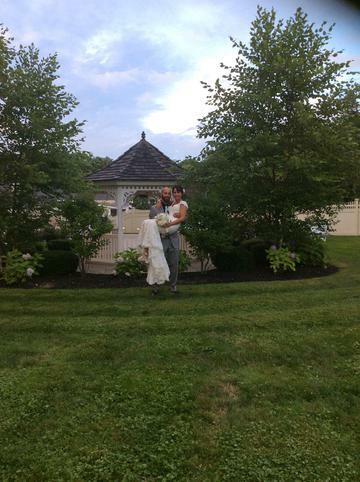 A beautiful photo of the newly married couple!